In 1936 the Queen Mary made her maiden voyage to New York City. She was the newest and most luxurious ship afloat. Capturing the moment, David C. Rockola delivered one of his 12-Selector Jukeboxes to her decks, and the headlines read "The Queen Will Have Music Wherever She Goes." He had been making jukeboxes only a couple of years, but in his lifetime, David C. Rockola would leave an indelible mark on the industry that literally echoes his name. Since 1977, The Antique Apparatus Company, has stood for uncomprising quality. Great pride is taken in having engineered, refined and manufactured the first and finest Nostalgic Jukeboxes on the market. In 1992, Antique Apparatus combined its strengths with one of the most distinguished names in Jukebox history: The Rock-Ola Manufacturing Corporation. Today all our the jukeboxes bear the Rock-Ola name, and come equipped with Syber Sonics electronics. 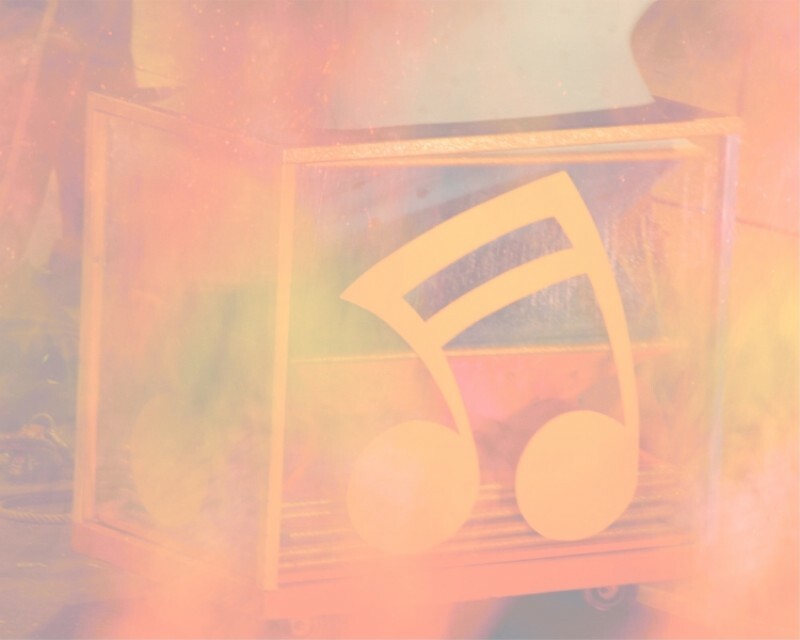 Nostalgic Music Company can provide you with the jukebox of your dreams. Please contact us for more information. The following are a representation of the NOSTALGIC MUSIC COMPANY product line. VIVO - Rock-Ola's smart looking wall-mounted jukebox is new from the inside out. The festive new graphics are illuminated from top to bottom to attract more attention. Inside Vivo is the new Digital Syber-Sonic (DSS) Electronic System with a Digital Amplifier that produces 50% more power. Our Modern-Retro cabinet design has only three moving parts. Fireball features Rock-Ola's Digitrac mechanism which stores and plays CD's on the same vertical platform. When this mech goes into motion it really attracts attention with it's flashing lights imbedded into the all metal, die-cast chromed end caps. Gazelle This is a recreation of a collector's dream. The rarest of jukebox wonders was the elegant wartime machine, of which only a few hundred were made. The Gazelle features art deco fawns playing the Pipes of Pan above and two leaping gazelles etched in mirrored glass panels below. The Gazelles are brilliantly illuminated with ever changing colors. With all the craftsmanship of a classic, the front door is finished in satinwood and burled elm. The top crown, shoulders, pilaster supports and even the base are carved out of hardwoods, walnut and alder. An exquisite piece - the artistry of Harley-Davidson Motorcycles and the quality performance of Rock-Ola jukeboxes - will bring years of enjoyment. Declare your love of music and Harley-Davidson Motorcycles with this great jukebox. Harley-Davidson emblems and logos are prominently featured. 100 CD capacity enables you to select all of your favorite music for hours of listening pleasure. The most popular jukebox of all times has been meticulously reproduced in the Bubbler Series IV. Bubbles of air perk merrily to the top of the 8 bubble tubes, while a "Kaleidoscope" of colors flows through the translucent plastics. It's the 50's all over again when the changer flips the CD right down in front of you. All 19 metal pieces are genuine die cast metal, triple plated with copper, nickel, and polished chrome.With quality in mind, only the finest hardwoods adorn this beauty. The handcrafted quality of these classics is a tradition proudly continued. The Peacock is the top of the line jukebox and includes all the classic features. Six bubble tubes, rotating colors in the side columns, and the incredible 'polarization of light" in which every feather in the Peacock plumes changes color independently from the feather next to it. The beauty of the Peacock is equaled only by the quality of its sound. This bird will sing all of your favorite songs with its 810 Watt stereo system. Be sure to check out the specifications, special features and optional equipment available. Custom built industrial mechanism, amplifier and computer. All solid state electronics. Phillips compact disc player with automatic disc mapping & self-adjusting laser. Thanks Ed! We're honorary 'Nostalgic Music Company' employees! It's been a long day....Don't wanna hear it, see it or say it! Ed & Tim at Lead East 2000!